Swedish massages at Beautylicious are performed by fully trained massage therapists. You can talk to the therapist about why you want the massage and they can work in such a way that will attend to your specific needs. Swedish massage is probably the most common and widespread massage technique in the West. It is the foundational technique on which many Western styles of massage are based, such as deep tissue muscle massage and aromatherapy massage. Swedish massage was invented by Peter Henrik Ling in the early 19th century when he developed a system called “Medical Gymnastics” which included movements performed by a therapist. These became known as “Swedish movements” in Europe and “the Swedish Movement Cure” when they came to the U.S. in 1858. Today such techniques are called Swedish massage, except in Sweden, where they are simply called massage! Smooth lava stones are heated to a comfortably warm temperature in a special stone heater before being used to massage the body. The heat is deeply relaxing and helps warm up tight muscles so the therapist can work more deeply, more quickly. Many recipients of hot stone massage find themselves in a state of deep relaxation. The massage aims to work on many levels; stimulating yet calming the body's systems. Some contra indications can be worked with if you have written permission from your doctor, please call or email the salon if you would like to discuss anything further with one of our therapists. Indian Head Massage, also known as ‘Champissage’ has its roots set in the ancient tradition of Ayurvedic medicine originating in India. It involves massage of the head, neck and face with the purpose of manipulating energy channels called Chakras; the goal is to clear blockages which can be found here such as negative energy and illness. I use a range of different movements including the application of deep kneading and compression massage over the neck, shoulder and scalp areas. 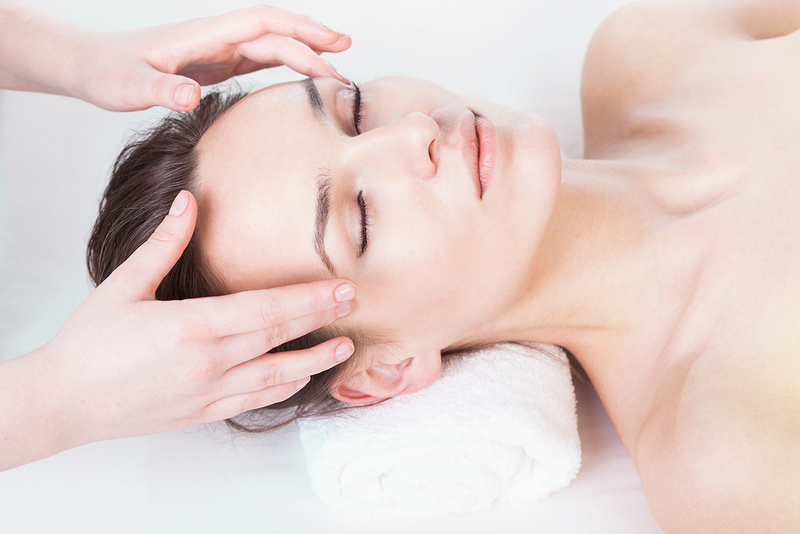 I also perform stroking and lymphatic drainage motions across the face and neck whilst incorporating pressure points to enable the release of toxins and blocked energy channels.